During the Renaissance, the world was witness to an intellectual and cultural revolution. Today, the world is witnessing a digital revolution with the current technological renaissance where everyday culture is transforming into a digital version. The music that we used to hear on CDs and tapes are now available in digital formats; we share the photos of each other with just a click in digital formats; the books that we read have undergone a digital transformation; even our friends have digital avatars of themselves with the immense popularity of social networking sites. One advantage of digital formats is that they are virtually immortal and cannot be tampered with. The literature we read, our memories, and the music we listen to can be preserved almost forever by digitizing them. One way of digitizing photographic or print content is by scanning them. The disadvantage with modern day scanners is that they are bulky and are not portable by any stretch of imagination. With recent innovations in consumer electronics, it was just a matter of time before consumers lay their hands on an extremely portable scanner. 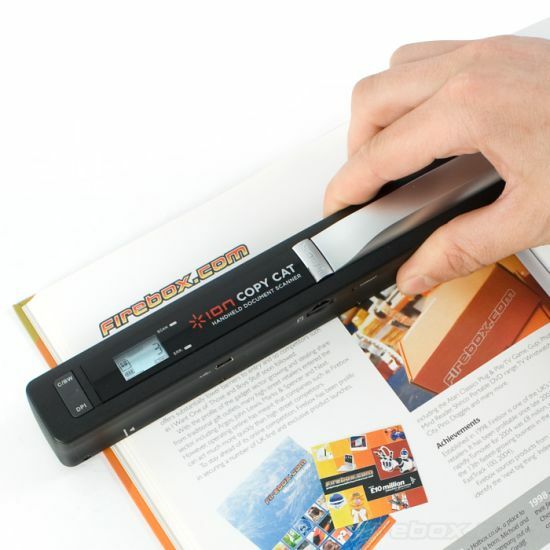 The ‘CopyCat Portable Scanner’ is that scanner which the user can carry around in a backpack or knapsack. With this extremely portable scanner, the user can scan any print matter anytime anywhere. What will definitely surprise the user is the physical dimensions of the CopyCat Scanner. The scanner has a scanning area of 8.27″ x 50″ and is no longer than your forearm. The handheld scanner can perform high-resolution color scanning up to 600 dpi, and can be used on materials such as books, photos, papers, and other such documents. Modern day consumer gadgets need to be lightning quick in the functioning or users will certainly lose their patience over it. CopyCat can scan pages in a lightning quick manner that will have Usain Bolt nod in appreciation. 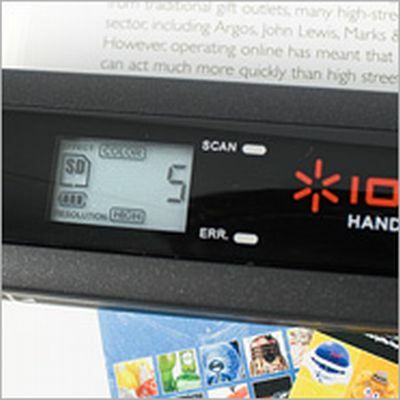 The handheld scanner can scan pages in a matter seconds as the user runs the scanner through a page. Apart from being Usain Bolt-quick, what sets the CopyCat apart from its competitors is its elephant-like memory storage. Considering the fact that the portable scanner is the length of your forearm, it is impressive that the scanner can hold up to 32GB of high-resolution images. In other words, CopyCat can store more than 30,000 pages without breaking a sweat. With the CopyCat Portable Scanner delicate books, precious photos, and other important documents can be digitized and stored forever. It can be bought at £79.99 . If you found this to be interesting, do go through articles on Starfleet TX 540 Tricorder and The Christmas Snowbot.